The mission of the Oklahoma Education Coalition is to lead the effort to create, improve and support quality public education for all students. 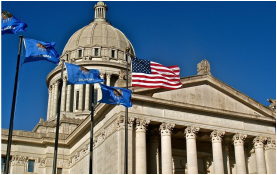 The Oklahoma Education Coalition is dedicated to leading the effort to create, improve and support quality public education for all students, teachers and staff. To be problem solvers, valuing all levels of public education. To protect the future of public education as an influential and powerful force. To become a catalyst in enhancing the image of public education. To be united organization that works for common goals in public education. To be the champion of a quality public education system for all students. To encourage innovation in creating more quality schools. To facilitate parental involvement that encourages quality students. To advocate an adequate funding structure that would ensure more outstanding educators, students and schools.